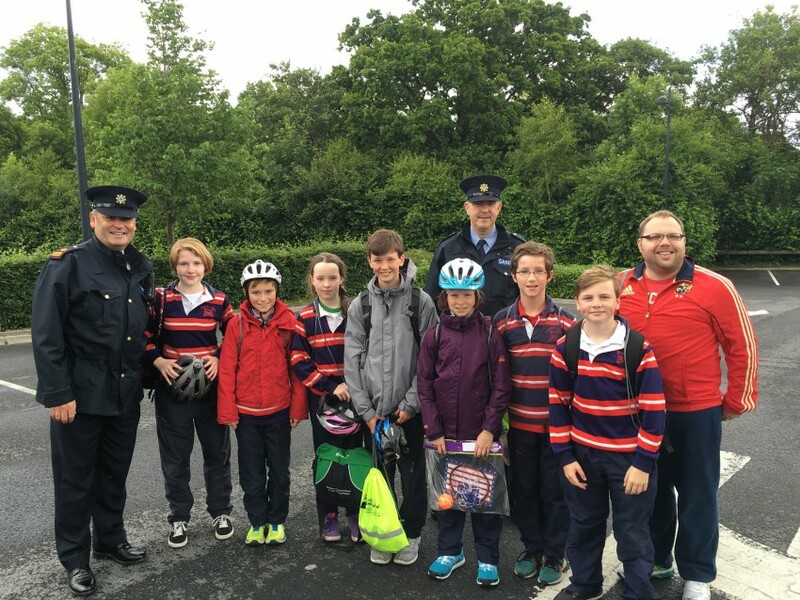 Chuaigh seacht páiste ó rang a cúig go UL inniu (23/6/16). Roghnaíodh iad mar na rothaí ab fhearr sa chomortas scoile. 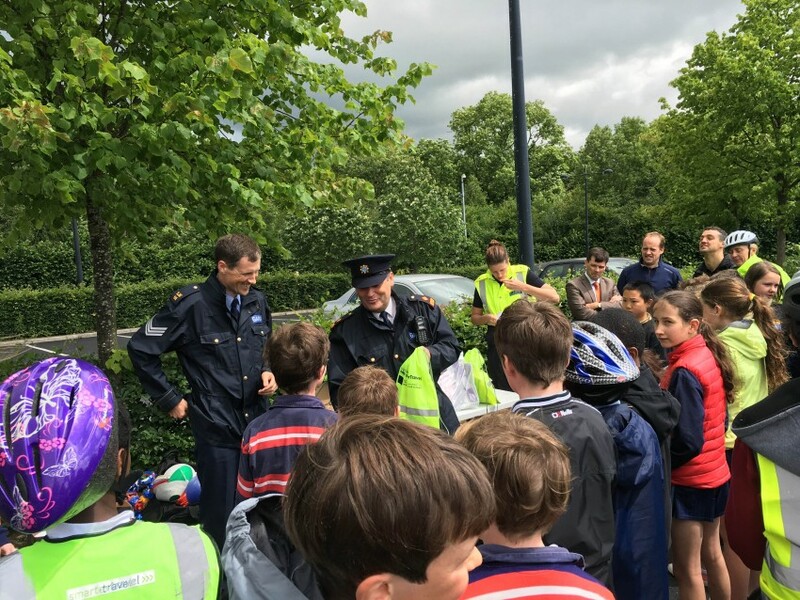 Ghlac siad pairt i gComórtas Rothaíochta na nGardaí. 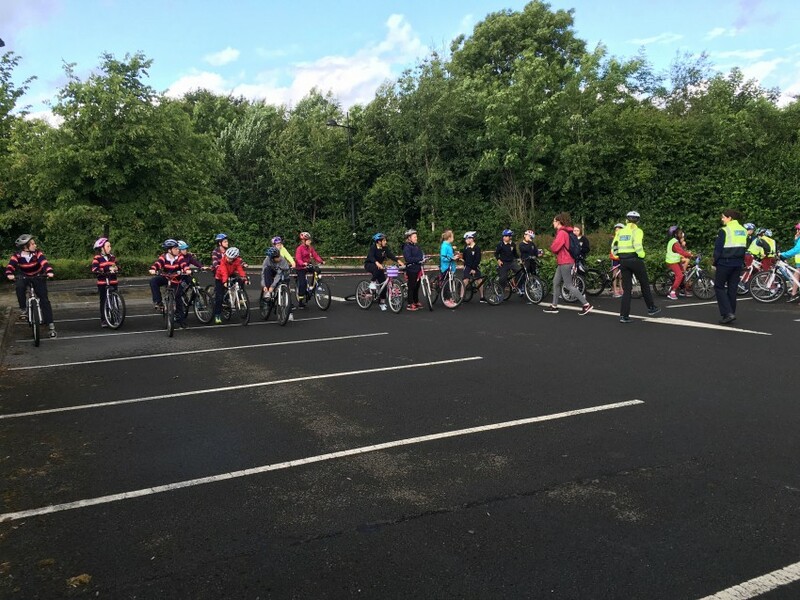 Bhí páistí ó Scoil Mhathair Dé, SN Móin an Línn agus SN Áth an Mhuilinn páirteach ann freisin. Ní raibh an aimsir go hiontach ach bhain siad an-taitneamh as an lá. Bronnaíodh an ceathrú áit orthu agus bhí an-lá acu. 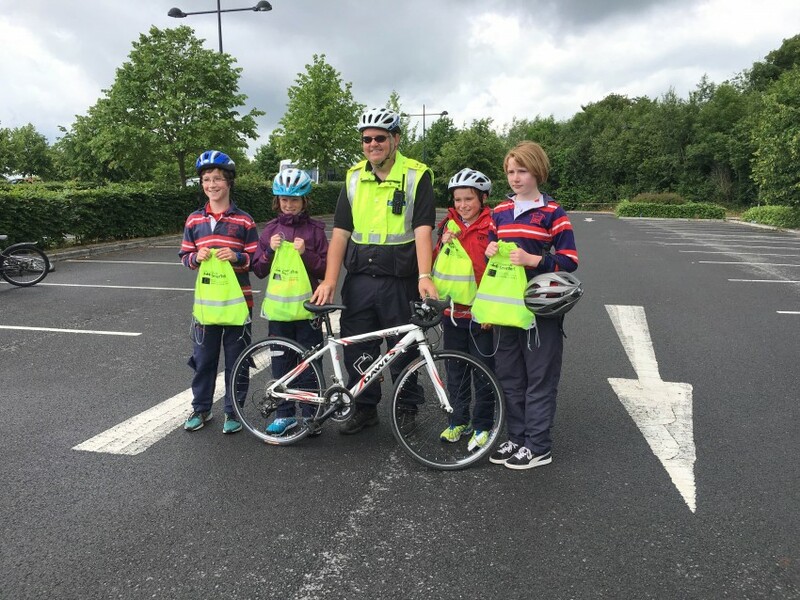 D’fhoghlaim siad a lán eolais faoi shabháilteacht rothar ó na nGardaí chomh maith. 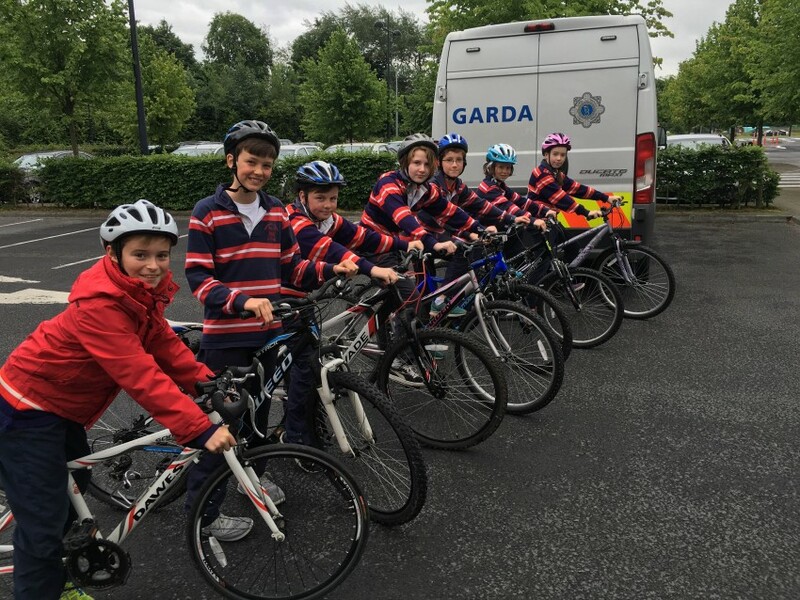 Seven children from 5th class, were selected to attended the Garda Cycling Competition in UL today (23/6/16). 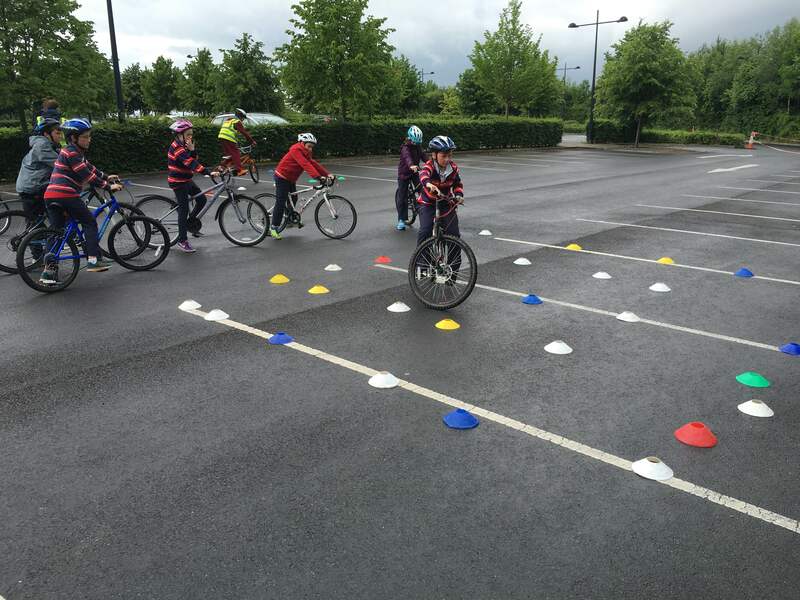 Other schools to take part included Scoil Mhathair Dé, Monaleen NS and Milford NS. Even though the weather wasn’t fantastic, a great day was had by all. We finished in 4th place and got a goody bag each. 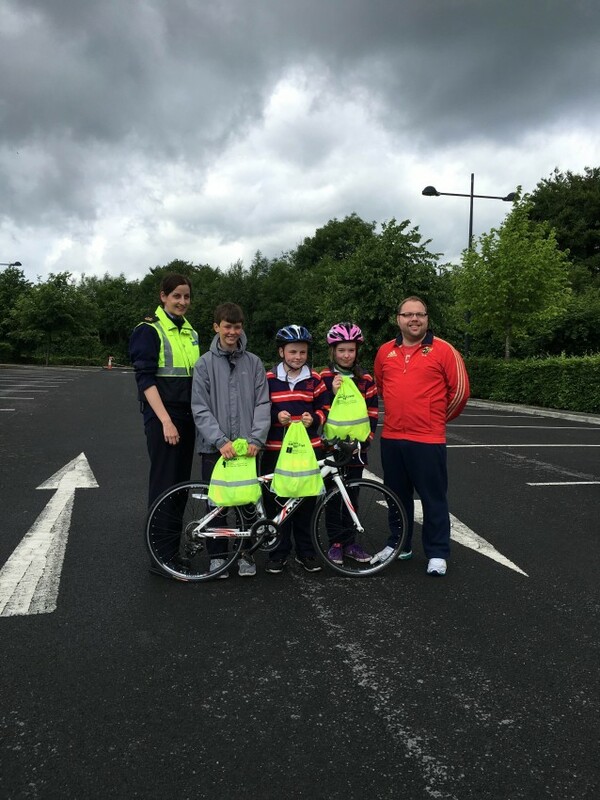 Lots of information in relation to road and cycle safety was also provided.